In 2012, some articles from The eLearning Coach were shared hundreds of times and others barely got a chirp. In case you missed a few, here are the top 10 articles that were shared in our community this year. Written at the start of 2012, this article details the trends that were gaining momentum at the start of 2012. Are these trends still viable? Has much changed in the past year? Would love to hear your insights in the Comments section below. Learners and audiences need novelty to maintain and sustain attention. The trick for going beyond bullets is to think visually. This article demonstrates six easy ways to create alternatives to bullets points. What is now a tradition on The eLearning Coach, I gather up exciting or intriguing ways to learn online in the coming year. You can still use last year’s list and watch for 13 Ways to Learn in 2013 — coming soon. 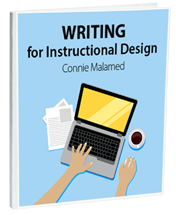 I even surprised myself when I started counting the varied ways that instructional designers might need to write in their careers. From scripts to persuasion to technical writing, we need to master many skills. And this list isn’t even final! Some best practices of mobile app design applied them to mobile learning and mobile performance support. Mobile is a strategy more than a technology. 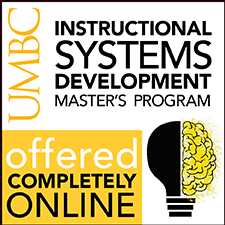 Its potential use is far greater than what mobile learning can offer. This article offers other ways to think about mobile. Satisfy your inner geek and read about techniques that help people become more successful learners. Improved metacognition facilitates self-directed and formal learning as well as learning on the job. Let’s help learners become aware of it. You’re bound to find at least one newly published book in this list that sounds intriguing. 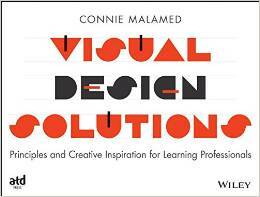 Choose from Visual and Design; Learning and Instruction and Mobile. Several years ago, it seemed as though every forward-thinking organization had a wiki strategy. If you didn’t jump on the bandwagon then, now might be the time to consider a wiki for learning and collaboration. 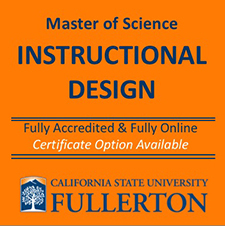 How can we empower instructional designers and developers? It’s time to stand up against tired eLearning and do things the way we think they should be done. Lots of suggestions here, including great input from the eLearning community. Once you’ve been sold on the value of stories and scenarios for learning, you need to consider the best ways to visualize these stories. Read how you can use images to make a story meaningful.